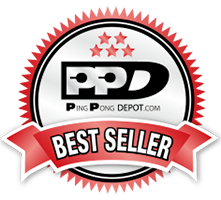 The Onix graphite Z5 is the most popular pickleball paddle of the Onix line. With the perfect balance between ball control and power, it's the perfect pick for all-round performances. Whether you have just discovered the sport or you are an experienced player, this pickleball paddle will meet your needs. Choose between a large variety of colors and add style to your game!